Executive producer: Miles M Jackson. Produced, directed, and written by Steve Okino. USA. 2010. 59 min. For more than two centuries, African Americans have lived, thrived, and achieved in the islands of Hawai‘i, but little is known about their remarkable contributions. 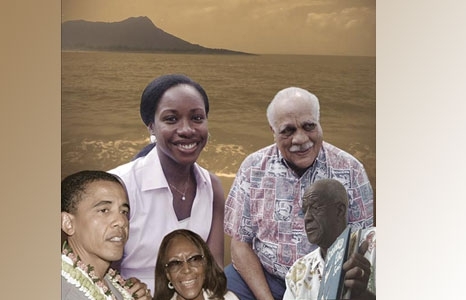 This new and updated cut of Holding Fast the Dream corrects this omission, highlighting the 200-year history of African Americans in Hawai‘i, telling a story that begins with a freed slave in the early 1800s, and continues into the present day with President Barack Obama and his island roots. Based on the pioneering research of Dr. Miles M. Jackson, Dean Emeritus, University of Hawai‘i, Holding Fast the Dream premiered at the Hawaii International Film Festival in 2010.